In addition to the one stop service offered for patents by APA, we established the Asia Trademark Alliance (ATA) website to focus on the recently increasing demands for trademark registrations and trademark right maintenance services. We will enrich handling trademarks for Japan, China and Korea, as well as provide a wide range of information and services. Also, besides filing trademark applications and maintaining trademark rights in Japan, China and Korea, the ATA is offering a new service. When we handle a response to your notification of refusal of a registration via the Madrid Protocol issued by the Japan Patent Office, our fees are based upon success. Currently, it is common to use the Madrid Protocol to obtain a trademark right in several countries, but it is troublesome to deal with notifications of refusal from foreign patent offices. Even if you pay the fees for a local attorney to process intermediate procedures, it does not necessarily mean that the right will be obtained. In light of this, we are offering services to respond to Japan Patent Office notifications of refusal via the Madrid Protocol with fees based upon success. If the trademark was not registered we will refund the complete fees for preparation and submission of arguments and amendments. This service lets you save cost and since you only have to pay once it also saves you remittance fees. Until now, the representative office of ATA, Tsubame Patent Attorney Firm, has processed about 720 trademark applications and renewals within the last 3 years, and has wealthy experience. 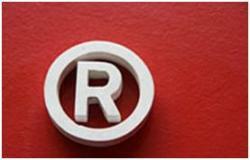 Do not hesitate to contact us with inquiries about our trademark services in Japan, China and Korea. You can also find detailed information on the ATA website.